In the first half of 2015, L’Oreal’s financial statement reported revenues of 12.82 billion euros worldwide. In comparison with 2014, there was an increase of 14.7%, which is the fastest growth that the company has had in the past 20 years. Its digital marketing campaign was not the exception, with an outstanding 40% increase in online sales, exceeding 1 billion euros; it represented 5% of the company’s total turnover strengthening its position in the online market. Nowadays, in the cosmetic & beauty industry, 70% of customers search products online before they actually buy them, which means that social media must play a big role in this. Why? You might be wondering, well, the importance of knowing consumer’s needs and preferences enables companies to come up with tailored ads and maximize their marketing budget. Many industries have transitioned from the classic marketing model into its modern version to further understand consumers and optimize results. It seems that the upcoming era is digital, the society now is constantly connected with their mobile phones, and people are interacting on social media all the time. Most Chinese people love to share moments of their daily life via Weibo or Wechat, these social mobile applications gather a lot of Chinese young people who are potential online buyers, this is one of the main reasons why this new consumption model results so profitable. Taking all of this into account, L’Oreal, the global beauty brand, keeps track of trends and maintains strong competence in the Chinese online market. The business credo for the marketing industry “where are the consumers, where are we” is practiced well by L’Oreal. In fact, in the digital marketing revolution, L’Oreal is not only expanding its e-commerce channels, they also apply a complete strategy to digital marketing. For instance, on the CES conference in Las Vegas, L’Oreal released a patch for sun-induced skin damage – My UV Patch, helps users track real-time ultraviolet exposure damage on the skin with the help of an App. 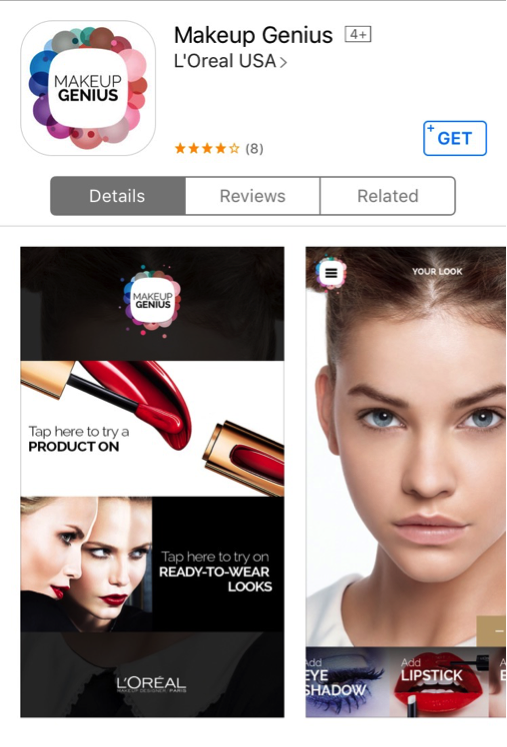 In addition, L’Oreal has also launched a mobile App called Makeup Genius. The App can help users find their own appropriate makeup. 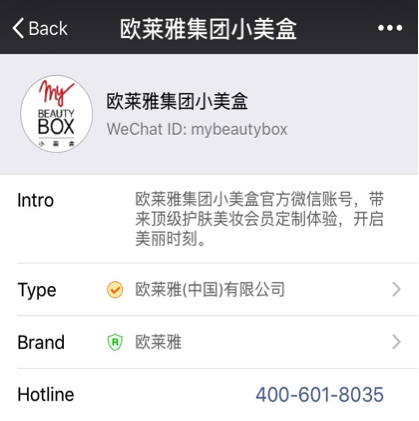 Most Chinese people are shy and they do not dare to try exaggerated makeup, with this App users can try hundreds of makeup options and share on various social platforms. In the future, L’Oreal will try to launch more service-oriented App. In the buying decision process, customers experience 4 steps: identifying, considering, purchasing, and sharing. L’Oreal gets involved in every step of the process. 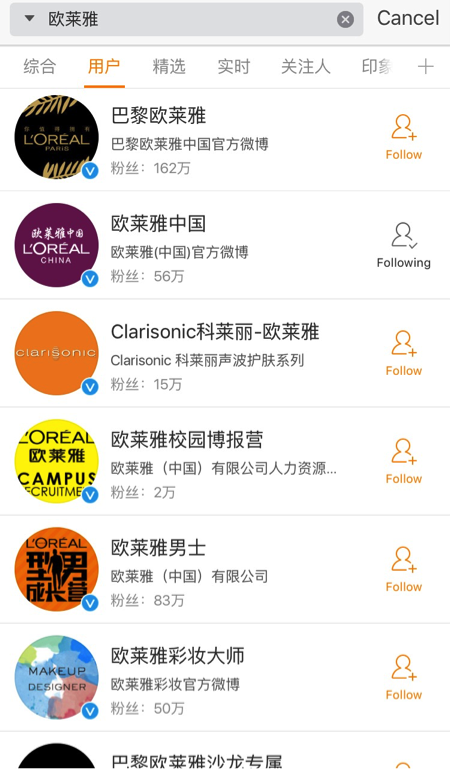 For brand awareness, they launched a video advertisement on the entire media platform of Weibo and Wechat. For the decision-making stage they issued a series of makeup tutorial videos on Youku and finally let the users use social media to share their purchasing experience. With this, the entire consumer decision-making process is digitized. 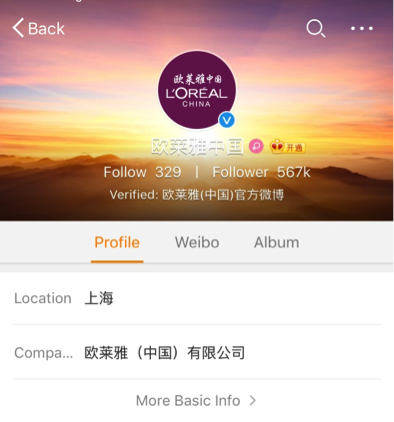 Take this case for example, in the 2015 Cannes Film Festival; L’Oreal launched a video advertisement on Wechat, where L’Oreal’s stars would post their pictures and voice message saying “I am in Cannes, will you come? ” and a link to L’Oreal’s e-commerce page. Through this event L’Oreal attracted a lot of fans and potential customers, and the brand’s social influence was digitalized. Based on the first two points, L’Oreal Group including Lancome, Maybelline, L’Oreal Paris and other brands, try to position themselves, as much as possible, on various digital platforms, that is, “where are the consumers, where are we”. Since, nowadays, almost all of the customers are online, L’Oreal has to be searched and discussed as much as possible by customers in order to gain more popularity in the digital world. When analyzing L’Oreal’s digital marketing strategy, it is worth noticing that this giant enterprise takes digital marketing as a key element of responding to the rising demand among beauty consumers. The O2O (online-to-offline) model gradually drives the enterprise transforming it into a new business model. Digital marketing could not only develop a new market but also help to create a new CRM (Customer Relationship Management) system for other companies. We believe in the future and Chinese digital marketing will become more and more important in the following years. Have you learned Chinese yet? If you have any questions or require any information about our services, please do not hesitate in contacting us, our group of specialists will happily assist you. This article was edited by Andres Arroyo Olson from 2Open.